One of the Chief Congressites leaders of Punjab Mrs. Rajinder Kaur Bhathal (Ex CM) says the Akali Govt of the Punjab didn't properly send the case to Centre, "A whole file is to be processed and sent to Congress." She claims a lone letter wouldn't do it. 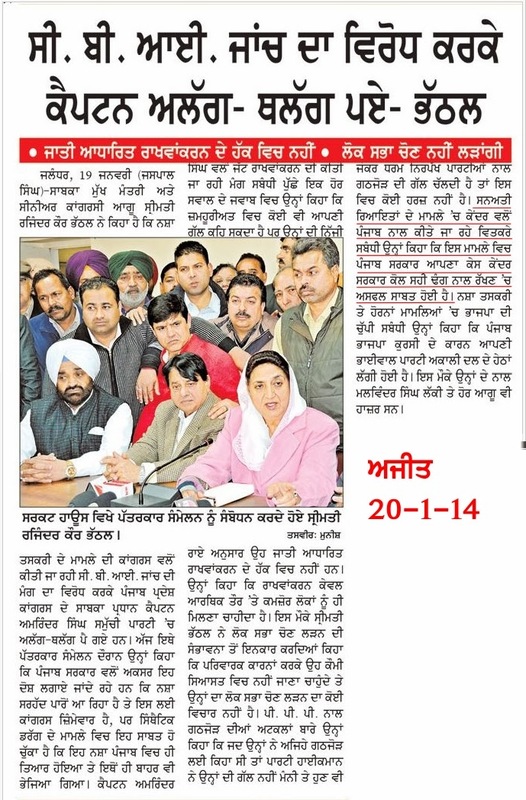 She alleges the Akalis sent only a letter. Perhaps she wants to convey that the Akalis didn't fix wheels below the feel. Fixing of wheels in the local parlance means greasing of palm of officials. Perhaps she wants to say the Akali Govt didn't please the officials. Since I too was humble Govt officer and am fully conversant with the official correspondence. It is only a letter through which one office communicates with the other and file obviously remains behind as the record. But God know what Mrs. Bhathal means by that. 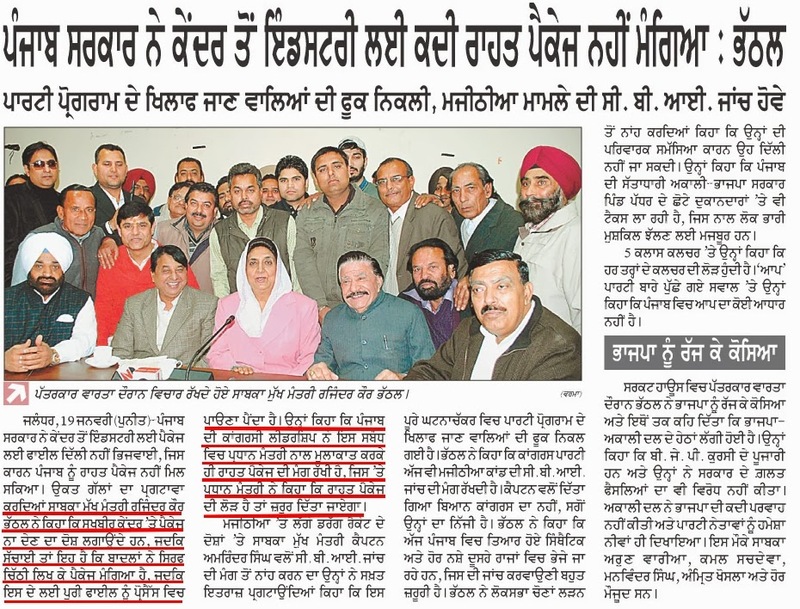 Mind it when the Centre Govt decided to shift Punjab industry in the neighbourhood, it was Congress Govt in the state. God knows why couldn't the Congressites process the file then?